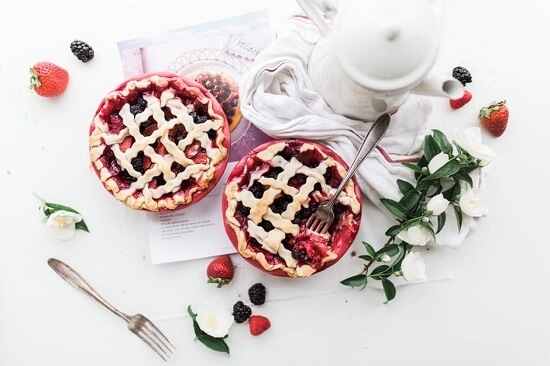 There is nothing more wholesome and warming than a fruit pie, especially when the fruit is in season and at its optimal flavour and freshness. At Quattro Foods in Portsmouth, Hampshire, our development team have been concentrating on manufacturing fruit pie fillings, ensuring that they can be used for the perfect end to a meal or a tasty treat to have on its own or with ice cream, as the summer approaches. As we have said before, we are committed to including seasonal fruit and vegetables into our cooking wherever we can. Not only does this mean you get the full taste of the produce because it’s at its peak flavour but it’s also more environmentally friendly, as when we opt for produce that is in season, we can support more local farmers and this will save energy by cutting down transport and refrigeration costs. With this in mind, we have chosen the sweet and tangy taste of a rhubarb filling, which comes into season between March and April. This filling is a British classic that provides a tart taste to compliment a main meal. If you wish to use rhubarb as a key ingredient, we can also adapt it to your restaurant, café or wholesalers and add additional ingredients to create your preferred recipe. Our development chefs are also working on another British pie classic filling with a summer fruits. Sticky and sweet, this is a staple of summer and the fruit is just about to come into season. If this is a flavour that will suit your menu or is a product you would like to sell at your wholesaler, get in touch now so we can start creating a recipe that is unique to your business. Our team at Quattro Foods in Portsmouth, Hampshire are constantly coming up with food ideas that will get people talking, so if you have a particular pie filling (or maybe another product all together) that you would like to sell under your brand, we are all ears. We can help you develop individual flavours and deliver a high-quality product that will satisfy your customers’ cravings. Go on – get stuck into creating sticky, sweet fruit pies for your menu this summer. P.S. Want to hear about the latest news from Quattro Foods? Follow us on Twitter and keep in the know about our latest products and industry news.